The goal of the Irrigation Assessment Program (IAP) is to observe water levels and flow rates of wells throughout a crop's growing season. HPWD field staff measures water levels and conducts flow tests on all wells and irrigation systems in the IAP at the beginning and end of the growing season. Staff also tests water samples for Total Dissolved Solids, pH and chloride. If you are interested in participating in the program, call us at 806.762.0181 today! Field personnel test wells using an ultrasonic flow meter to determine an accurate flow rate through an irrigation system. HPWD also has in-line flow meters that can be loaned out upon request. In addition, leak detectors are available for municipal use. 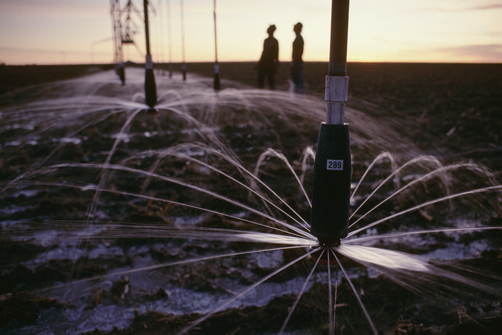 Call HPWD at 806.762.0181 to schedule a flow test of your wells or irrigation system. .